Throughout America’s involvement in the First World War the home front was mobilized to provide for the needs of our country and it’s military. Locally, the organization getting most of the headlines for its significant contributions was Marietta’s chapter of the Red Cross. 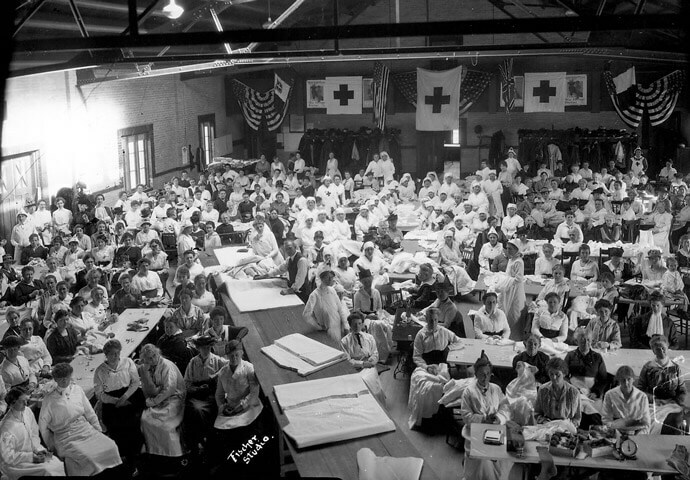 Its membership ballooned with the outbreak of the war to include volunteers such as Jessie (Davis) Lindsay, resident of “The Castle.” Join Jane Young to learn more about the role of Red Cross volunteers like Jessie and the other ways Washington Countians supported the war effort during WWI.